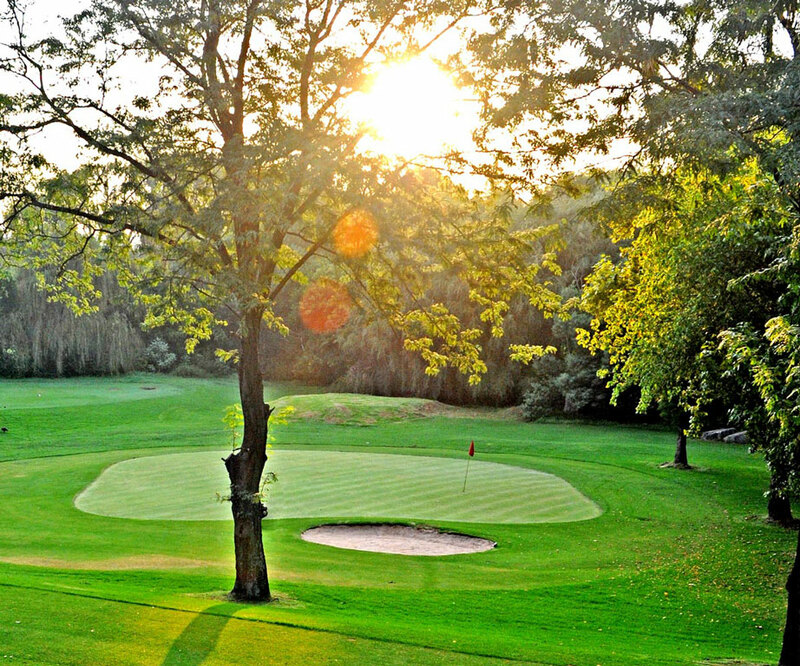 Besides Firethorn and Bushwillow, Randpark also run the Creek 9 par-3 course, one of Johannesburg’s little golfing gems, which is set in a beautifully treed area next to the Roosevelt Park Recreation Centre. The nine-hole layout has existed for many years but it fell on hard times and there was talk of closing it down. But in October 2013, Randpark assumed operational control and responsibility of the municipal-owned land. The club subsequently received a “ROCCI” (Roodepoort Chamber of Commerce and Industry) silver award in recognition of the excellent work the club’s top-quality greens staff have done at Creek 9. The shortest hole is No 6 at just 83m and the longest, No 5, can be stretched to 210m off the back marker. The holes are quite challenging, and getting round in level par is no small feat. Not only is the course fun to play, but it serves as a very good place for established players wanting to sharpen their short games, while what better way for beginners to start golf than on a course like Creek 9 which is the only nine-hole facility of its kind in Johannesburg? The atmosphere is relaxed, there are no strict rules with respect to dress code and soft drinks and snacks can be purchased in the small clubhouse. Fees are very cost effective with discounts for Randpark members, pensioners and learners. An added attraction at Creek 9 is something called footgolf which is aimed primarily at corporate groups where players kick a football around the course and “hole out” on greens separate from the putting surfaces.